This romantic neck candy features an unusual open heart created in 925 Sterling Silver, with one side textured, the other smooth, with a cubic zirconium at its centre. 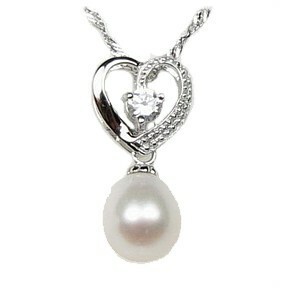 And beneath, a stunning 7-8mm natural white freshwater pearl. All threaded on a 925 Sterling Silver Snake Chain, length 16-18".